“Hello?” called Jordan. “Is anybody in here?” She entered the deserted mansion. Her footsteps echoed around the hallway, and she felt her heart thunder. “Sophie?” she called. No answer. Everything was empty. She didn’t know where anyone was. 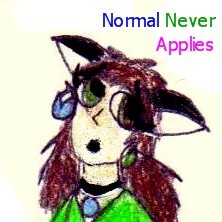 The whole of Neovia was deserted, and she couldn’t find Sophie or any of her family around anywhere. She had been told they had moved to this old, deserted house, but nothing. The brown Ixi climbed the staircase, hoping to find anything to give her any clue of where they may have gone. A breeze blew through a crack in the wall, blowing Jordan’s long brown hair slightly. She hugged herself into her lilac poncho. The brown Ixi ran through the Haunted Woods. She followed the little zomutt as it ran quickly through the trees. Suddenly, the zomutt broke through the bushes. Jordan stopped and pulled the bushes away. In front of her was a town, filled with neopets bustling around the place. A Cybunny skipped past carrying a basket of hot bread. The smell wafted from it. Jordan gasped as she began to walk through the town. The buildings were so big and she was so small. As she went into a daydream, she accidentally walked into someone, knocking themselves to the floor. “Oh! I’m so sorry!” said Jordan, helping whoever it was pick up the books they were carrying. She looked up and saw another Ixi in front of her. This Ixi looked identical to Jordan, only that Jordan was brown and the other Ixi was green. “What’s your name?” asked Jordan. “Jordan.” They stood up, both of them still not believing that they looked so much alike. Behind Sophie were a tall, gangly, blue Gelert and a brown Lupe. Sophie looked up at the lupe with an asking expression on her face, and the he nodded. “What is this place?” asked Jordan, looking around. “Neovia!” she exclaimed, “Not many people know about it, but it’s sort of the bright point of the Haunted Woods.” Jordan looked at Sophie and she looked back. They both thought the same thing, but both of them were too afraid to say it. Jordan always remembered that day, and from then on, they were friends. The brown Ixi opened another door, and a chill went down her spine. This room had something more to it than just a bed and some sheet covered objects. She bravely went inside. The ripped curtains blew in the cold night air, and a rocking Uni in the corner squeaked as it rocked back and forth, back and forth. I don’t know what’s going on in Neovia. Neopets have gone wrong, something isn’t right. My brother Reggie says that it’s because of some potion or something. I wish Jordan was here. We might be able to sort this out together. I snuck into Bruno’s room the other day, and I saw him gazing into the mirror. I couldn’t see him properly though, since it was dark. I called for him and he said, “Don’t look at me, Sophie.” I didn’t understand why, until he eventually did turn around. I got the shock of my life. He was mutated. His tail had spikes on it, and his teeth were sharp and pointed. All his clothes were ripped and torn. I didn’t scream, though. He didn’t deserve it. I just ran into my room and cried for him. I have to go soon, though. Bruno has told Reggie to take me away from the town. Into the woods. Goodbye, diary; this will probably be my last entry. Jordan didn’t know what to think. Sophie? Gone? She didn’t want to think of it. And something had happened to the town, and it had affected everyone except Sophie. A tear ran down the little Ixi’s cheek, and she cried. Jordan stood up and dropped the book back onto the bed. It fell open and an envelope fell out. She turned and took it. Written on it, it said: For Jordan. She ripped it open and a piece of paper fell out. Jordan unfolded it. For a sudden, a warm breeze blew on her. If you are reading this, then it means I have gone into the woods. Reggie has taken me there. I have always been too scared to say it, but, just so you know, you are the best friend I have ever had, even if we weren’t friends for long. I don’t know what had happened to the townspeople, or my family, but if you do see them, then tell them that I love them, and that I miss them and you very much. You don’t need to cry for me, because I will be fine. Goodbye. You may see me again one day, and I do hope we do, because I have so much I want to tell you. I did find your letter, and I thank you for writing it. I don’t fully understand what happened to Neovia, and I probably never will, but I miss you too, and I hope that you receive this letter. I just hope that the Winds of the Woods will take it to you. I have heard they can do magical things, even if they take a long time to arrive. Take care of yourself, and look out for anything that lurks in the shadows. I know that you will. I’ll give your family the message if I ever see them. Even when we are apart, we will be best friends forever, just like we promised. Jordan folded the paper up and opened the window. “I hope this reaches you, Sophie,” she whispered, and let the wind carry the piece of paper into the distance. Deep in the woods, one year later, a green Ixi was hard at work in a small shack. The wind was rough, and she was trying to close the windows. Suddenly, a piece of paper flew in the window. She bent down, picked it up and read it.